Prime Minister Narendra Modi addressed two huge rallies in Theni and Ramanathapuram in Tamil Nadu today.PM Modi paid tributes to the martyrs of the ‘Jallianwala Bagh massacre’ which completes its 100th year today. On this occassion, he also paid his tributes to the great Tamil leaders, MGR and Jayalalithaa for their outstanding service to the Tamil people. We observe today, the solemn occasion, of the completion of 100 years since the Jallianwala Bagh massacre. I also pay homage to the great MGR and Jayalalithaa Ji. India is proud of these two iconic leaders, who lived and worked for the poor. 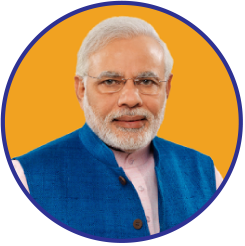 We move forward with the dream of a New India. Today, India is rapidly making a mark in the world. The Congress, the DMK, and their Maha Milawati friends cannot accept this. That is why, they are unhappy with me. Those of you, who recall 1979, would know how the Congress had humiliated the DMK. Despite such bitterness in the past, today, the Congress and the DMK are together again, in an attempt to mislead the people. Some days ago, DMK supremo projected the Naamdaar as Prime Minister. But no one was ready to accept it. Not even their Maha Milawati friends. What all have we been witness to? Father becomes the Finance Minister and son loots the country. The Madhya Pradesh government has become their ATM. They are diverting money meant for the poor and the children, for use in the election. This has become known as the Tughlaq Road scandal. The Congress, the DMK and their other Maha MIlawati friends, can never work for India’s development. How do you deal with those who wish to weaken the Armed Forces? When it comes to national security, there can be no compromises. When a brave Indian fighter pilot was captured in Pakistan, it was ensured that he is back home in record time. Congress and dishonesty are best friends but sometimes, by mistake they end of speaking the truth. Now they are saying- ‘Ab Hoga Nyay’ or now there shall be justice. Who will do Nyay to the victims of the 1984 Sikh riots? Who will do Nyay to the victims of the Bhopal Gas Tragedy, among the worst environment disasters in India. Farmers are the soul of our nation. For decades, farmers were demanding MSP at 1.5 times the cost. The NDA government is also serious about your faith. The devotees of Lord Ayyappa should be able to reach him easily. This is the land of MGR and Jayalalithaa Amma. The Congress was not able to locate a candidate who belonged to this region. It seems the DMK leaders, who are advising the Congress, have sensed the mood in this region. #ModiAgainSaysIndia is the happening hashtag in the 'Your Voice' section on the 'Volunteer' module of the NaMo App. 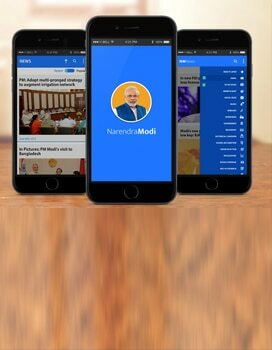 Tweets, videos and other exciting content awaiting you on the NaMo App. Check it out! Coming to Ramanathapuram reminds one of the great Dr. APJ Abdul Kalam. Dr. APJ Abdul Kalam had several dreams for our nation. The India of 2019 is very different from the India of 2014. Today, India is eliminating poverty faster than ever before. We opened bank accounts for the poor. Sanitation coverage was at a dismal 38%. Now, it stands at 98%. For this region, we have given importance to connectivity and tourism. Work is fast progressing on doubling of railway tracks between Rameswaram and Dhanushkodi. The NDA Government’s Sankalp Patra has devoted lot of attention to water resources. Our hardworking fishermen depend on the seas for their income. Due to lack of proper guidance & warning a lot of fishermen would cross international waters and were arrested. We have three priorities- development, all-round development and all-inclusive development. Congress, DMK and their Maha Milawat alliance has no vision or mission for the nation. Their only glue is hatred for Modi. In the process of hating Modi, the Opposition has begun to hate India. They have begun to disrespect our institutions. Those who cannot protect India can never develop the nation. When the Congress and their allies were in power, terrorists were attacking the nation regularly. City after city, there were blasts. India will not spare a single terrorist or Jihadis. Driven by votebank politics, Congress and DMK are against the culture of our land. We brought a bill in the Parliament to abolish it. Who opposed us- Congress, DMK and Muslim League. In Kerala, Congress, Communists and Muslim League are playing a dangerous game regarding the Sabarimala Temple. They are using brute force to strike at the root of faith and expression. Our guiding principle is- Nation First. If you go to Delhi, prime real estate has been used for memorials of members of only one family. But, we believe that every single citizen makes India better and stronger. Congress party that talks about ‘Nyay’ or justice has done most injustice to regional aspirations. They have shamelessly imposed Article 356 to humiliate greats like MGR. Congress leaders make every effort possible to create a North and South divide and that too before elections. There is unity and diversity in our nation and we are proud of that. When you vote on the 23rd, remember that a vote for Congress, DMK and Muslim League is a vote for higher taxes and lower development. A vote for them is a vote which will give a free hand to terrorists. The people of India gave these parties the opportunity to rule for years but all they did was care for themselves.